The closest “Supermoon,” of the year and glimpses of all the naked-eye-visible planets can be expected during February 2019. About an hour after sunset, the planet Mars is about halfway up in the sky, between the zenith and the southwest horizon. It’s not as bright as some of the wintertime evening stars to its east, but it’s still quite bright and ruddy-colored. The evening of the 10th, it appears about five degrees to the right of a slim waxing crescent Moon. By 10:00 pm CT, Mars is close to the horizon and a little north of west. The last couple weeks of the month, around 5:50 to 6:00 pm CT, look close to the west-southwest horizon. If you see a bright star-like object, it may be the planet Mercury. The closest planet to the Sun, Mercury is only visible shortly before sunrise or—as is the case this month—shortly after sunset. 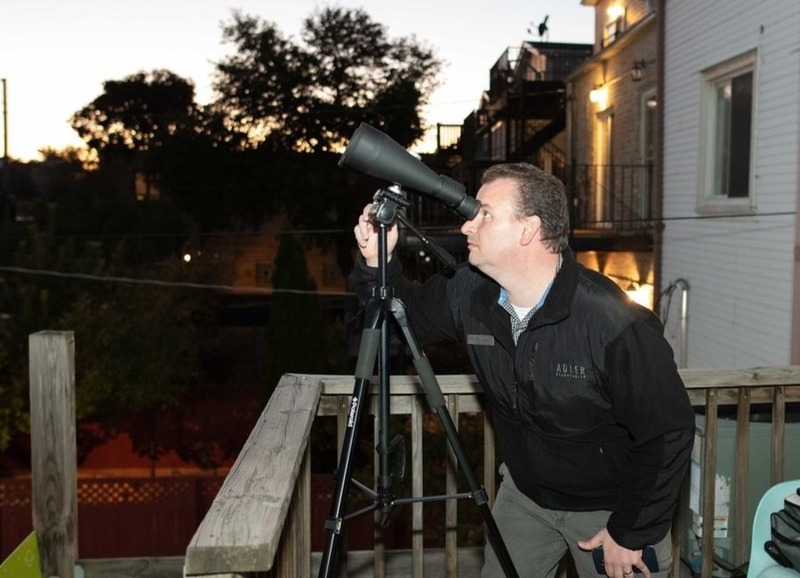 This is likely your best chance all year to try spotting the elusive planet. By early March, Mercury becomes increasingly difficult if not impossible to see in the setting Sun’s glare. For those up before sunrise, the two brightest planets, Venus and Jupiter, are above the southeast horizon by 5:30 am CT. Venus is brighter than Jupiter, but it also stays low in the sky this month, while Jupiter rises earlier and appears higher above Venus each morning. About halfway through the month, the planet Saturn joins Venus and Jupiter in the pre-dawn sky. Saturn is not nearly as bright as either Venus or Jupiter, but it’s still quite bright compared to nearby stars. Look for it a few degrees below Venus the 14th through the 17th. The mornings of the 18th and 19th, Saturn appears only about a degree away from Venus. By the 21st, Saturn is noticeably higher than Venus, and continues to get higher in the sky each passing morning. On the 28th, try tracing a line in the southeast sky, starting with bright Venus, moving southward to Saturn, then to the waning crescent Moon, and finally to Jupiter. As was the case last month—and will be next month—this month’s Full Moon is considered a “Supermoon.” Informally defined, a Supermoon is a Full Moon or a New Moon that’s close to perigee—the Moon’s closest point to Earth during a given orbit. Distance-wise, a Supermoon comes within roughly 223,000 miles of Earth. This month’s Full Supermoon is the closest of the three, at about 221,200 miles distant.